Welcome to our community website supporting our proposals for new homes and public open space on land east of Park Lane, Coalpit Heath. Barratt and David Wilson Homes have been promoting land at Blackberry Park for development for a sustained period of time. In July 2013, an application for outline planning permission for the development of the site for up to 330 dwellings (Ref: PT13/0028/O) was refused permission. Since the previous application was refused, the proposals have been refined further. The proposals now represent a significantly reduced amount of built development, increased access, allows for greater flexibility and beneficial use of the land by the community on the remainder of the site, and would provide a permanent use of the proposed areas of open space in perpetuity. Proposes residential development in the north western portion of the site, significant reduction in the number of homes to up to 215 dwellings, retention of large areas of public open space, greater retention of the existing hedgerow network, provision of allotments and informal community orchards would encourage healthy lifestyles and facilitate local food production. A much improved scheme from previous outline application. An application was submitted to South Gloucestershire Council in January 2017. The application was refused at committee in August 2017 and the appeal was heard in August 2018. On the 6th September 2018 the inspector’s decision was received allowing the scheme. Barratt Homes will now be moving forward with its reserved matters in due course. The application site is approximately 15 hectares and is located directly to the south of Frampton Cotterell, in Coalpit Heath. 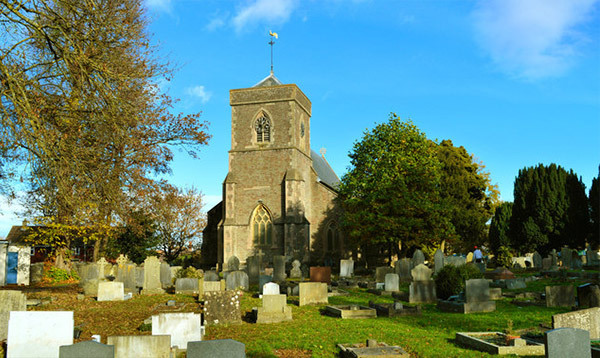 Its boundaries are defined by existing built development to the north and west; with the residential streets of Blackberry Drive, St Saviour’s Drive and the recent Barratt development of the Meads to the north. The northern half of the western boundary of the site is defined by Park Lane, with existing properties on the western side fronting the road and overlooking the site. The southern half of the western boundary is defined by a field which falls outside the application site and will be retained in its current use. The landform of the dry valley is a key landscape character defining element running north south through the centre of the site. It forms a strong containing feature along with the railway embankment, a large physical barrier at approximately 25m above and across the valley floor. 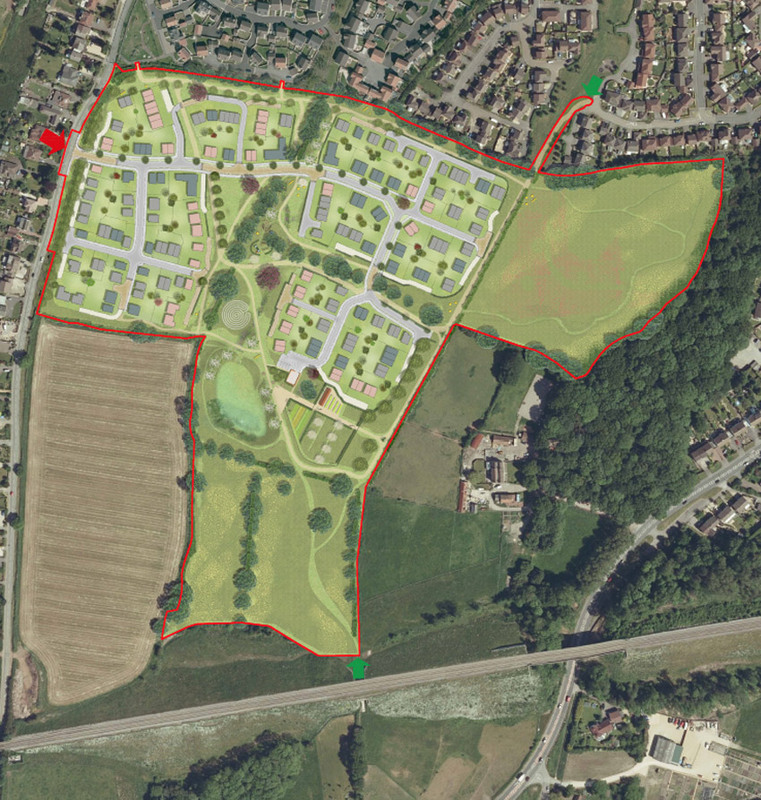 An outline planning application was submitted and validated in January 2017 by Barratt Homes, for Construction of up to 215 homes, public open space and all associated infrastructure, with all matters reserved except access. The homes on the development will comprise different sizes, types and tenures, including 35% provision of affordable housing. Development along the main vehicular route will be 2.5-3 storeys and up to 2.5 storey in all other areas, with the overall density of the development being in the region of 40dph. There will be a clear street hierarchy through the scheme with primary and secondary streets and the use of lanes and private drives. Barratt Homes have now submitted a reserved matters application to South Gloucestershire Council for the erection of 204 dwellings landscaping, appearance, layout, scale and associated works. The application was validated on 14th December 2018 and is being considered by SGC.